Winner of over 80 major international awards, including 16 for Best Musical, Matilda is the absolute must-see theatre event of the year! With standing ovations night after night and absolute rave reviews, we advise you to book early or you may just miss out! For the best seats and availability, book for mid-week evening performances. 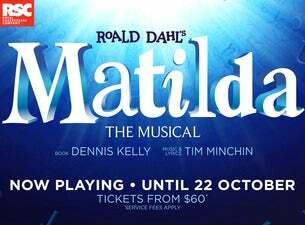 Matilda The Musical is now playing at the Civic, Auckland until October 22.